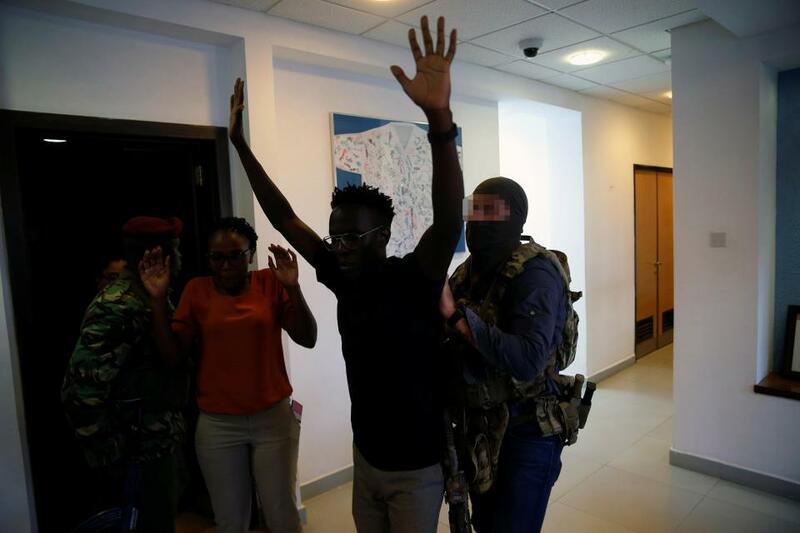 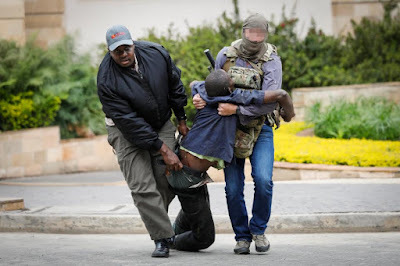 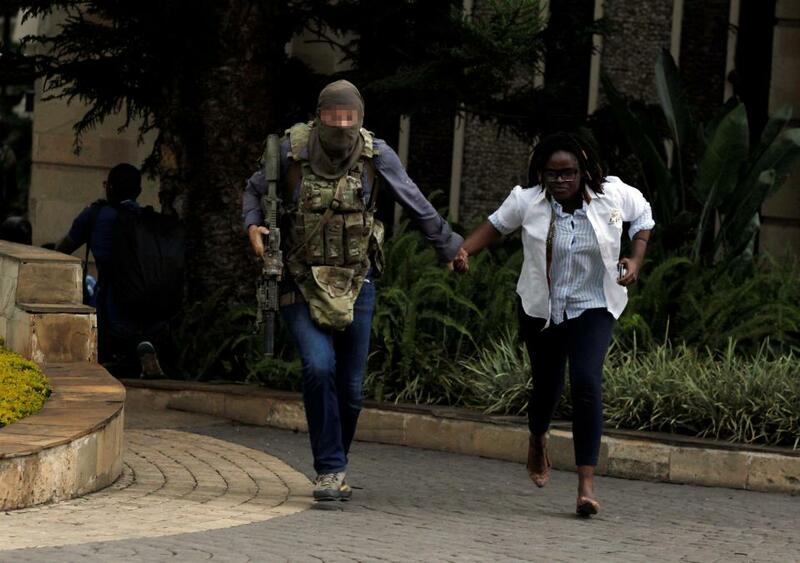 Wednesday January 16, 2019 - A member of the British Special Forces was among brave foreigners who engaged Al Shabaab terrorists who stormed Dusit Hotel complex on Tuesday afternoon, killing 14 people and injuring hundreds. Though his name cannot be revealed because of security reasons, the SAS hero was reportedly on a training mission with Kenyan Special Forces when the attack happened. 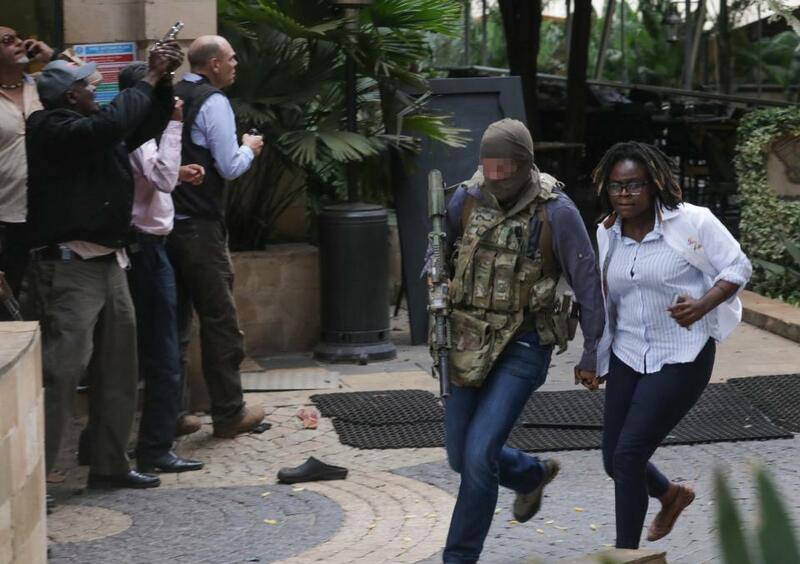 At least four terrorists were involved in the slaughter that took place on Tuesday evening. The soldier is said to have taken part in the rescue mission with US Navy Seals and Kenya Special Forces. 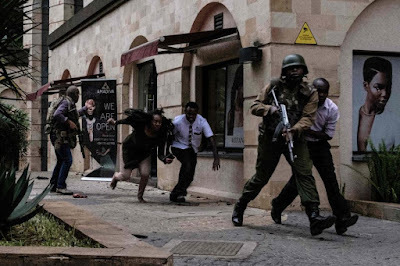 Clutching a Diemaco C8 Carbine gun, the SAS hero engaged terrorists alone and he was seen moving across the hotel complex without any cover. 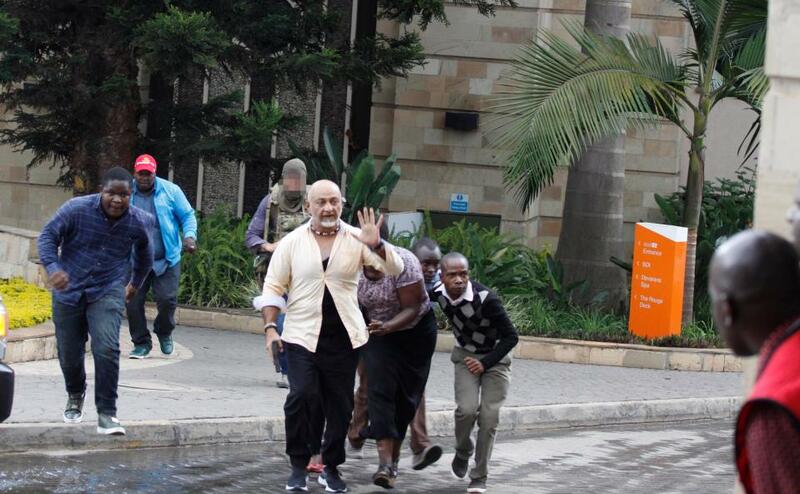 He rescued hundreds of Kenyans who were trapped inside the hotel’s complex. 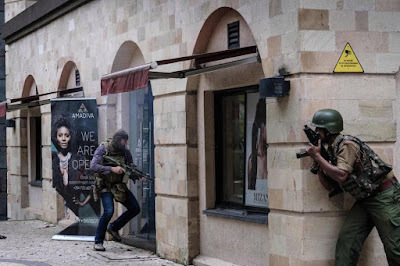 Special Air Service (SAS) is a Special Forces unit of the British Army. and where were a chicken soldiers: taking cover as this guys does the work for them.